The bottom line being that animals in the zoo cannot vote, so are virtually worthless: particularly when elections are in the offing. In its early years under the able stewardship of men like Kailash Sankhala and Peter, and a sensitive political leadership, the Delhi Zoo ~ or National Zoological Park as it is officially designated ~ had acquired the status of a model organisation and was ever in public focus. The reputation of the park had spread to the animal kingdom too, local species had actually flocked to it for sustenance. Alas, the recent neglect is not just palpable, the Central Zoo Authority (CZA) has submitted an affidavit to the Delhi High Court flaying the ministry for environment and forest (under whose control the park functions) for not acting against those responsible for “shocking” irregularities. Worse, the authorities declined to cooperate with the CZA when under judicial directive it conducted a probe into the poor management. Indeed the local authorities penalised the few officials who dared to highlight shortcomings. 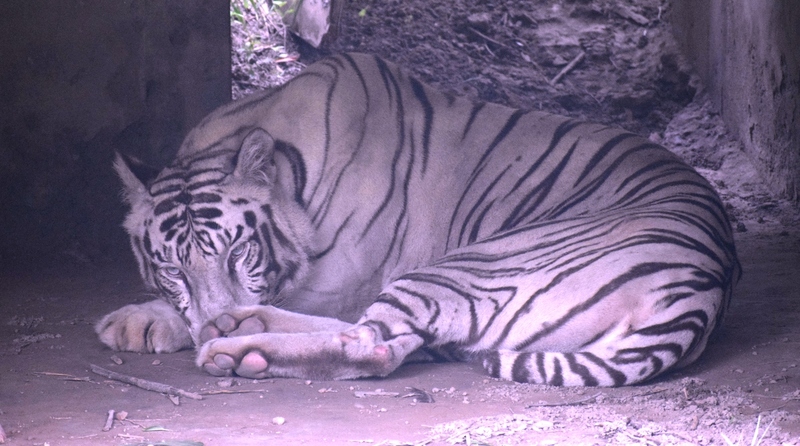 “The attitude of defiance and non-cooperation observed on the part of officials and employees was shocking.” The CZA affidavit continued that “based on documentary evidence it has been found that the death of many animals in the zoo were suppressed by the national zoological park authorities. The dead animals have been subsequently replaced by illegally captured animals… The records pertaining to captive animals have been manipulated”. The CZA said that the ministry was repeatedly made aware of such wrongdoings, “however no corrective action appears to have been taken” and it called upon the High Court to pass appropriate orders. Noting that the natural habitats of several species were under threat, the CZA emphasised the enhanced responsibilities of zoos to preserve and promote the riches of the Indian jungle. Could there be a more scathing indictment of the ministry? The park is located in the heart of the Capital, so the alibi of “remote” does not hold good. Perhaps the lack of media attention has had an impact, when the park was “front-page news” its officials could not get away with such lethargy, but it is true that photographers and reporters are no longer welcome at the zoo that at one stage was accused of being overly publicity- conscious. And Mrs Maneka Gandhi, the only wildlife-sensitive member of the ministerial council, is already too over-burdened to include the zoo in her priorities ~ the public and the collection at the park are poorer as a result. And yet the decay of the National Zoological Park should come as no surprise: the present government is insensitive to the “finer things in life”, the arts, music, cinema, conservation etc. The bottom line being that animals in the zoo cannot vote, so are virtually worthless: particularly when elections are in the offing. If Mr Harsh Vardhan and his mates were made aware that an efficiently-run zoo could rope in the votes it might have been a different story, with a more elevating ending.